600 apps in six months isn't half bad. Amazon is one step closer to conquering the living room today after the company announced it has reached over 600 apps and games on the Amazon Fire TV. To put things in perspective, the service launched in the US last April and initially had only about 200 apps and games to choose from. Tripling in size in just six months is an accomplishment, and one that the scrappy set-top box desperately needed. That said, 600 apps is still a drop in the bucket when compared to the thousands found on the Roku 3. The success in this area is primarily thanks to the partnerships Amazon has forged within the gaming community and the move to base the operating system off Google's Android architecture, making it easier to port games from one set of devices to the other. Smaller mobile developers from Shiny Box Games (Dungeon Quest) and HandyGames (Ninja Hero Games) have joined larger developers like TellTale Games (The Walking Dead) and 2K (NBA 2K15) to speak on behalf of their successful partnerships with the retail giant. 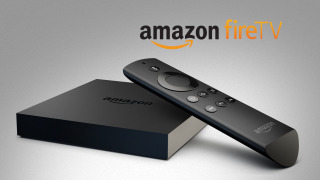 "For us, it was really important to be on Fire TV because of our beyond-mobile strategy," said Chris Kassulke, CEO and co-founder of HandyGames in a press release sent to TechRadar. "The end-consumer should have access to their games, whether they are on the go or at home in the living room, and is the reason why we optimized all our games for Fire TV." We have reached out to Amazon for further comment and will update the story when we hear back.